While listening to the radio today driving around between clients (no, I don’t have satellite radio!) I turned a concerned ear to what the DJ was talking about. You see, today “All The Hits” 107.3 is hosting a radio-thon for Children’s National Medical Center. Those of you who know me well, know that this was my home-away-from-home for quite awhile. I have a special place in my heart for that “magical place” on Michigan Avenue. Have you seen that place? It looks like it’s from outer space! Can’t upload the new iOS 7 to your iPhone? Yeah – an inconvenience. Your oldest child just diagnosed with an inoperable brain tumor? Yeah – that’s a problem. Cab dropped you off two blocks from your destination? Inconvenience. Leaving the hospital without your newborn because she was premature and is still in the NICU? That’s a heartbreaking problem. Subway car packed, and you have to wait for the next? Inconven…. You get my drift. Like Bert was trying to do, I am trying to get you, my loyal blog readers, friends, family members, friends of friends, colleagues, and classmates, to give to Children’s National Medical Center today. Make it recurring, make it once, just make your contribution now. They never turn away a child. EVER. They even take “big kids” who were treated there as children (like me!). They are just good people, genius doctors, and a fabulous facility. Your donation will provide for everything Children’s needs to keep running smoothly. Diapers for preemies, crayons for the “art cart,” dry-cleaning for the Dr. Bear costume (yours truly wearing it below!) and Legos for the playrooms, and on and on. Miracle makers give $20 per month. That’s $0.66 per day. That’s in your couch now and will be next month, too! I invite you to give, and I’ll still “heart” you if you don’t. Thank you…from the bottom of my heart, of course! 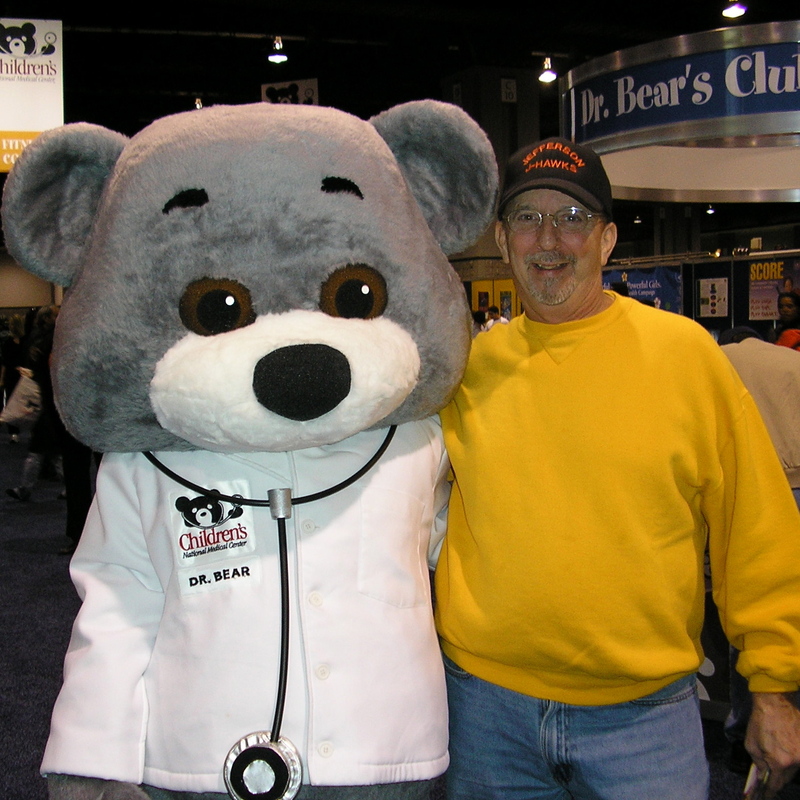 (L-R) Dr. Bear (me) & My Dad! Twelve people did not sleep in their beds last night who had the night before. Some slept in a hospital bed while those who loved them slept next to that hospital bed on a pull out chair. Why? That is precisely the question! Nevermind what did they do this past weekend clueless that it was to be their last on this earth enjoying the glorious weather surrounded by family and friends. This was their last “normal” weekend, one that started with an eerie Friday the 13th if you’re superstitious. Why such tragedy surrounding us lately? So much sadness and no good news. Why?! WHAT? These people simply showed up for work yesterday as a typical fall Monday morning in Washington. I get so wrapped up in days like yesterday, I can’t stop listening to WTOP run its news stories on the radio in the car, I can’t get in the door fast enough to get in front of CNN or MSNBC or heck, even NBC 4 had live coverage all day! It’s so sad. It’s a track wreck and only more and more horrible details emerge as the hours pass. Why? Who were these people? We only “get” snippets. They focus on the killer. Not the killed. Why? This morning (the morning after) I read in line at Starbucks (we’re so set in our routines, aren’t we?) that a man killed was a 51 year-old grandfather of nine. Nine grandkids. That’s a lot of kids to have to tell and make understand. Horrible. And all that man was doing was installing new office furniture. I don’t get it. So sad. I received an email today from the Adult Congenital Heart Association proclaiming good news! We have an exciting announcement to share: The Congenital Heart Walk has officially surpassed $1 million in fundraising for 2013! Thank you to everyone who has participated for playing a crucial role in this inspiring accomplishment. Considering the passion of the CHD community, we are certain there is much more to come. There are still nine more walks left — how much more can we raise? Please help us find out by registering and donating using the links below. Thank you again for your participation and fundraising efforts that have helped us to this point, and we look forward to meeting even more of you at a walk in 2013! The Congenital Heart Walk is an ongoing national effort between the Adult Congenital Heart Association (ACHA) and The Children’s Heart Foundation (CHF). Our Walk shows the nation how a team of inspired individuals can join together to make a difference. Funds raised will support the missions of both these national nonprofit organizations who are uniting to fight CHD! So many of you – my family, friends & avid blog readers – have donated to this cause (which is very near and dear to my heart) this year and in previous years, so I wanted to pass along this good news and say THANK YOU so much once again! 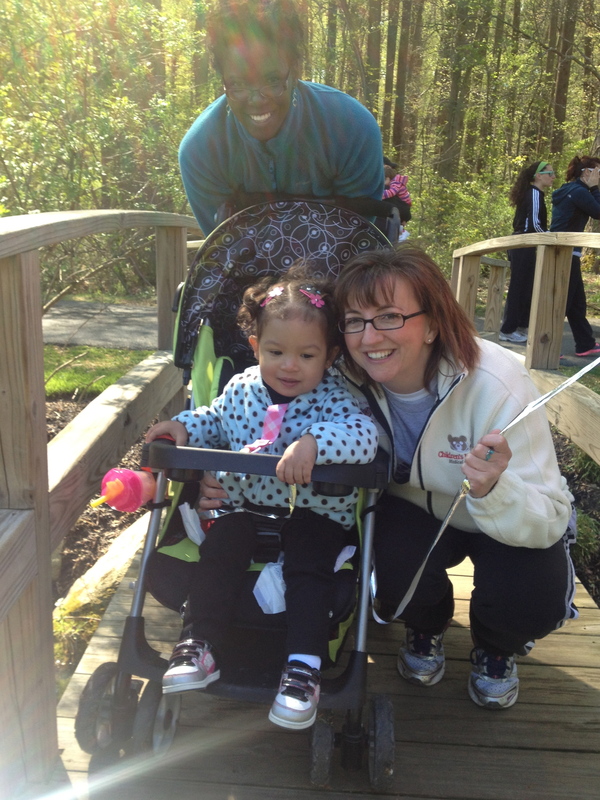 It’s hard to believe, but we’re already starting to discuss the 2014 DC Metro Congenital Heart Walk. It will be at the Wheaton Regional Park again (same as this year), but the date is to be determined. Stay tuned! While we are on the congenital heart defect topic, may I ask you to keep AGC in your thoughts as she just underwent her fourth open-heart surgery, just a month after her 2nd birthday? Thank you!